Two weeks removed from the E. coli detection in Artesia’s drinking water system that left the city under a 10-day boil water order, the Artesia City Council will be discussing what happened, the lessons learned, and where the city will go from here during its annual retreat this weekend at Hotel Artesia. The boil water order was issued the afternoon of July 15 after regular testing detected the presence of E. coli. It was officially lifted Monday evening, July 24, after a second consecutive day of clear testing was reported Sunday, July 23. The incident left Artesians with a number of questions, all of which the council plans to discuss at its retreat. Mayor Phillip Burch sat down with the Daily Press Thursday to discuss some of the issues in advance of those meetings, as well as to dispel some of the rumors now circulating regarding, among other things, the potential threat of lead and copper contamination. When was the original contamination detected, and what happened from there? The sample that originally tested positive for E. coli was part of the city’s regular collection Thursday, July 13. Those samples were sent to Cardinal Laboratories in Hobbs. Results typically take one day to process, and these were received Saturday, July 15. Upon the bacteria’s detection, the boil water alert was issued by the state that day, and Burch says the City of Artesia met Sunday with a New Mexico Drinking Water Bureau (DWB) representative from Las Cruces to discuss what action should be taken. Burch says the original plan called for the city to submit five samples per day until it had attained two consecutive days of clear results. The mayor says none of those additional samples ever tested positive for E. coli, helping the city and state to see the problem had been isolated and localized across the north part of town. By mid-week, the city, with guidance from the state, had elected to flush portions of the system with chlorine to ensure any bacteria were destroyed. The initial hope was that the order would be lifted before the weekend, but a detection of coliforms – a naturally-occurring bacteria found in soil – presented a slight delay. Infrastructure director Byron Landfair and Water Department supervisor Jennifer Estrada were confident by Friday, however, that future samples would test clear, and they were correct. Those samples collected Friday and reported Saturday, and collected Saturday and reported Sunday, fulfilled the two-day obligation. Why wasn’t the order officially lifted till the evening of Monday, July 24? Burch said the city was unable to make contact with any state officials Sunday in order to make the order’s lifting official, and when that contact was made Monday morning, the process turned out to be a lengthy one. Once the noon hour had passed, the city called again to make sure the order was going to be lifted. They were assured it was, but when they asked for that information to be put in a press release for distribution to the community, they were denied. The order was finally lifted around 5 p.m. Monday. “From one point of view, the state was very helpful from the standpoint that they provided oversight, they asked us a lot of questions just to make certain we’d done this and done that, they led us through that discussion – our infrastructure folks and water folks were very comfortable with all of that. Does Artesia’s system now run the risk of lead and copper contamination? NMED spokeswoman Allison Majure, who was quoted in that article, told the Daily Press Friday the word “poison” was not used by her department and was misleading in terms of any potential for the introduction of copper and lead into the drinking water system. The concern – which stands as a concern in any city utilizing chlorination, including those who chlorinate regularly as a means of disinfection – is that the chlorine could activate lead or copper present in pipes made of those materials. “We have no idea if there are even any lead pipes in our system,” Burch said. “We think there may be one at a certain place in town… we think that houses built in the 1920s and ‘30s may have used that, but they also may have been completely re-done since that time. As for the presence of those metals, Burch says they are always tested for during the city’s regular sample collections, which are conducted around every three months. However, due to the introduction of chlorine last week, the city has gathered those samples ahead of schedule and will be sending them for testing soon. “Our folks are in the process of doing that right now,” said Burch. How did E. coli enter the water system in the first place? And in which parts of the city was it detected? There’s no real way to know for sure how the bacteria entered the system. When E. coli is detected in water, it is generally due to contamination from human or animal waste. And when it’s detected in a city’s drinking water system, it can frequently be due to a particle as small as a speck being accidentally introduced during water line work. Between the two-and-a-half-year – and counting – 13th Street Reconstruction Project, the construction of several new buildings around town, and the expansion of streets and neighborhoods in the area of Hermosa Drive and 26th Street, the answer is a lot. Burch says the original E. coli detection came from the well located in the area of Grand Avenue and 26th Street. After that point, only the wells around the Federal Law Enforcement Training Center and the Morningside area tested positive. The next day, the FLETC test had cleared, while the other had moved to an area in the north portion of the Industrial Park. Were any cases of E. coli reported during the incident? And will residents be seeing a discount of some sort on their water bills? While sickness from E. coli is rare – most strains are harmless – and death from that sickness even rarer, the phrase simply strikes fear into most who hear it. No one wants to fear illness from their drinking water. That can lead to a desire to take extra precautions, so while the boil order stated only water used for drinking, making ice, or washing fruits and vegetables needed to be boiled and that bathing, laundry, etc., were safe activities, many in the community were reluctant. As such, the first day of the boil water order saw shelves emptied of bottled water at Wal-Mart and Fenn’s Country Market, as well as sparked a few rumors. One that stated a fight had broken out at Wal-Mart over water turned out to be a domestic dispute that happened to occur in another part of the store while residents were stocking up. Many Artesians have expressed anger over the cost associated with the purchase of bottled water and the inconvenience of being afraid of or unwilling to use city water for bathing or other purposes. While the city maintains the state’s directives regarding rendering the water safe to use were trusted and reliable, it understands the fear. “This was a major imposition to the residents,” said Burch. The mayor said no confirmed cases of E. coli were reported from Artesia General Hospital and that as far as July water bills are concerned, the council will be discussing that matter at this weekend’s retreat. Why were the majority of communications once contamination was detected made via Facebook? The simple answer is that’s where the word spread fastest. Once the boil order was issued Saturday, July 15, it was posted on a number of Facebook pages, including that of the City of Artesia, the city Water Department, and local media. The news spread like wildfire, but several residents expressed concern in the days to follow that more should have been done to alert residents. The mayor says the city’s means of issuing such an alert were unfortunately limited. Had the city sounded the emergency sirens, residents would not have known why; nearly all would have assumed a tornado warning was in effect or an incident had occurred at the refinery. Burch says the city would have used Reverse 911 – through which emergency alerts can be issued by phone – but two problems stood in the way: first, Reverse 911 is not available in Eddy County, and second, it is capable of contacting landlines only. The mayor says issuing the alert on Facebook and via local media outlets, as well as on the city’s website, was the quickest, most effective method available, and that citizens increased that effectiveness by calling friends and relatives, or visiting the homes of those they felt would not see the announcements online. However, the mayor says the city will be discussing other methods that could be implemented in the future this weekend. Will Artesia now be treating its water regularly with chlorine? Artesia has never disinfected its water with chlorine, but it will be taking the suggestion under advisement this weekend as it continues to talk with state water experts. Burch says the fact Artesia does not treat had nothing to do with cost saving or a lack of willingness to implement a disinfection system and everything to do with the fact the community had never had a water issue before. 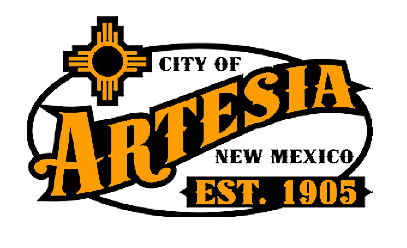 The mayor points out the city’s very name speaks to “free-flowing, fresh water,” and Artesia had consistently lived up to it until recently. “When we first talked to the DWB and they asked, ‘Why don’t you?’, we said, ‘We’d never seen a need to. We’ve never had a test like this,’” said Burch. “Obviously, if it had been a regular or even occasional occurrence, we’d have taken care of it. Regardless, the mayor says the council will be listening this weekend to the state experts regarding the pros and cons, the cost, and the general rationale. Cost could be an issue for Artesia, as the mayor says it would not be feasible, considering how the city’s well system works, to create a water treatment plant at which all water would be treated with chlorine. The city would likely have to chlorinate each well individually. The mayor had high praise for the departments that worked virtually around the clock to ensure the contamination was dealt with as quickly and efficiently as possible. “Byron and Jennifer, they were champions through this,” said Burch. “They were always one if not two steps ahead of the state’s question, ‘Have you done this?’ They knew exactly what to do, exactly what our responsibilities were to the state… they were on top of all of it from the word go, so my hat’s off to them.